The Academy of Adoption and Assisted Reproduction Attorney's 2019 Annual Conference - There's No Place Like Home: Exploring Family Formation in the Emerald City - will be held in Seattle, Washington, May 5-8. 2019. For the most up-to-date CLE program details, please review the DRAFT SYLLABUS. The Annual AAAA Conference is for Fellows only. For registration information, visit the 2019 Annual Conference Page in the Fellows Only area of the website. If you will be joining us as a sponsor and have some time to spend in Seattle either before or after the conference, there are many activities in and around Seattle that you may enjoy. Whether you have one extra day to spend or five, one or more of these wonderful Optional Activities may be of interest to you. Questions about AAAA, the Annual Conference, or becoming a Sponsor or Exhibitor, please contact Executive Administrator Jennie Sullivan at (317) 407-8422 or admin@adoptionART.org. The Academy of Adoption and Assisted Reproduction Attorneys (AAAA) offers a variety of sponsorship options at its Midyear and Annual Meetings. The various sponsorship opportunities and their associated benefits may be viewed by clicking on the Sponsorhip Opportunites link below. Online registration will be available here shortly. If you are interested in a particular sponsorship now, please contact Jennie Sullivan directly at admin@adoptionART.org. All sponsorships include an Exhibitor Table, recognition in the 2019 Annual Conference Materials, acknowledgement on social media during the conference, recognition via logo and link on the 2019 Annual Conference Page of the AAAA website (viewable by all AAAA Fellows), and breakfast, lunch, breaks and evening events for up to 2 representatives. Additional meal/event tickets may be purchased for $300/individual by selecting the separate ticket option during registration. Additionally, each sponosor must read and sign off on the AAAA Exhibitor/Sponsor Policy Compliance Statement as part of your application. Review all of our A La Carte Sponsorship Opportunities for the 2019 Annual Conference here. When you have made your selection and are ready to reserve your sponsorship, click on the appropriate sponsorship block below. For questions, please contact AAAA Executive Administrator Jennie Sullivan or call at (317)407-8422. Sponsors are accepted on a first-come, first-served basis. Sponsorships are non-refundable. Sponsors purchasing extra meal and event tickets must cancel those registrations by April 15, 2019 in order to receive a refund. To ensure we can accommodate our sponsors, Exhibitor Only Tables will not be offered for this conference. The Academy of Adoption and Assisted Reproduction Attorneys (AAAA) is a credentialed organization dedicated to the competent and ethical practice of adoption and assisted reproduction law. It advocates for laws and policies to protect the best interests of children, the legal status of families formed through adoption and assisted reproduction, and the rights of all interested parties. DISCLAIMER: The Academy of Adoption and Assisted Reproduction Attorneys (AAAA) website is designed for general information only. Nothing on this website establishes an attorney-client relationship with AAAA or any of its member-attorneys. Nor does AAAA’s website content constitute legal advice from AAAA or its member-attorneys to the reader or the public. The law constantly changes and varies state-to-state. Before relying on any general legal information contained herein, please consult legal counsel in your state of residence as to your particular situation. 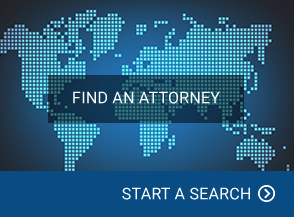 Click here for the AAAA Attorney Directory. The names and contact information included on this site are for the purpose of searching for an attorney for a particular legal case. The contact information may not be used for commercial, promotional, or advertising purposes.